Internationally Awarded Artist; known also internationally as writer and historian concerning President Kennedy Also, in various documentaries. 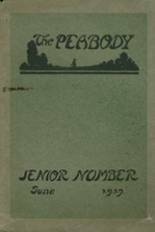 There are currently no memorials for Peabody Pittsburgh, PA alumni. 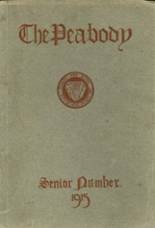 Alumni from PHS can use this site to get in touch with old friends from their high school in PA.	You can share memories of those activities that you were involved with at Peabody HS and you can view other alumni and read what other former students have posted about the time they spent at Peabody. 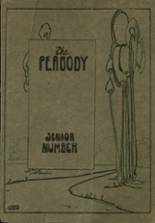 Peabody High School alumni can relive their experiences from high school by sharing memories and pictures, reconnecting with those alumni listed, and more. Carman Herring has someone searching for them. Joseph Carroll has someone searching for them. Victoria Oliver has someone searching for them. David Felser has someone searching for them. Tommy Simonic registered as a PHS Class of 1993 alumni. Tommy Simonic updated their profile picture. Tommy Simonic added photos to their personal photo gallery. Elaine Simon Selekman registered as a PHS Class of 1966 alumni. Elaine Simon Selekman updated their profile picture. Elaine Simon Selekman added photos to their personal photo gallery. Kaislen March added photos to their personal photo gallery. Kaislen March registered as a PHS Class of 1983 alumni. Kaislen March updated their profile picture. Pat Sigler registered as a PHS alumni. Pat Sigler added photos to their personal photo gallery. Pat Sigler updated her profile picture. Nathaniel Smith added photos to their personal photo gallery. Nathaniel Smith registered as a PHS Class of 2005 alumni.